The word �vessel� includes every description of water craft, including non-displacement craft and seaplanes, used or capable of being used as a means of transportation on water. Transportation and communication are the most important uses of the oceans. Vessels navigating from port to port in the conduct of regional and global economic activities carry more than 90% by weight of all international trade. Consequently, navigation is a very sensitive matter, and it comes as no surprise that this was one of the major concerns during the 1973-1982 Conference. These three solutions settled the major questions involving navigation. The concept of �innocent passage�, which was first codified at the 1958 Conference, was basically retained and applied in the territorial sea, but it was newly defined (Part II, Sec. 3) with the result that a coastal state can more easily deny that a vessel's passage is �innocent�. which has amounted in recent years to nearly 70 million tons, is harvested in the exclusive economic zones (but beyond the territorial sea). The Soviet Union and Japan each harvest annually more than 10% of the total world catch; the United States , Chile , Peru , China , Norway , and South Korea each harvest about 5%. These eight countries alone achieve more than half of the world total catch, whereby most of the catch is from fish stocks near the coast of these countries. Ultimately, the greatest impact on fishing from the 1982 Convention is due to the extension of the territorial sea from three to twelve nautical miles. Within this zone, from which about half of the annual world fish harvest is obtained and which is subject to the full sovereign jurisdiction of the coastal state, the Convention does not have intervening jurisdiction. For the remaining ocean space, the high seas (Art. 86) (which cover about half of the planet's surface, but contain only 10% of the total living resources of the ocean), the principle of freedom of fishing survived, (Art. 87, Subpara. 1(e)) but only in its basic structure. The relative lack of resources in comparison with the efficiency of modern fishing technology and the pressing needs of the present and future world population permit fishing only on the basis of co-operation and sharing. (Art. 117; Art. 119, Para. 3) The essential measures for conservation (Art. 119-120) are beyond the capabilities of any single state engaged in high sea fishing. 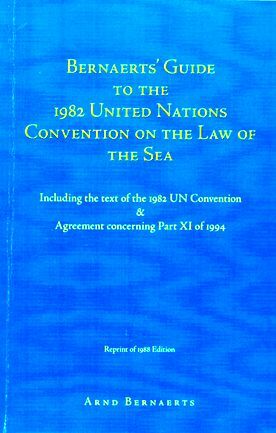 Although the 1982 Convention has jurisdiction with respect to overflight of ocean space, it pays very little attention to the subject. In much the same way that shipping relies on regulations provided by the International Maritime Organization (IMO) for safety standards, aviation relies on international regulations and standards of the International Civil Aviation Organization (ICAO). Rights and obligations arising from these international regulations are not affected as long as they are compatible with the 1982 Convention. (Art. 311, Para. 2). The right of overflight is patterned on the right of navigation. The principle of freedom of overflight applies on the high seas; (Art. 87, Subpara. 1(b)) basically, the principle also applies in the exclusive economic zone, (Art. 58; Art. 87, Subpara. 1(b)) with the general restriction that overflights must be conducted with due regard for the rights and duties of the coastal state. (Art. 58, Para. 3) The coastal states are to enforce international pollution regulations and standards in the exclusive economic zone. The coastal state has full sovereignty in the air space over the territorial sea, and aircraft do not have a right of "innocent passage." The safe and economic use of the oceans and the preservation of same are dependent in every respect on sufficient scientific research. The ocean is not only a source of exploitable resources; it is a very sensitive ecological system, which is often not obvious immediately only because the space is so huge and enormous quantities of water are involved. Although there are today about 150 international non-governmental organizations and 100 governmental organizations as well as a large number of national institutions which are concerned to a greater or lesser degree with marine science, the exploration of the oceans has really barely begun, and thorough, efficient research will be possible only if all concerned work closely together. For the scientific community, the 1982 Convention was a setback, as marine scientific research in the exclusive economic zone (Art. 56, Subpara. 1(b)) and on the continental shelf (Art. 77, Para. 1) was delegated to the coastal states and cannot be conducted without their consent, (Art. 246, Para. 2) whereas only the high seas were declared open to research by all. (Art. 87, Subpara. 1(f)) These limitations on the space open for free research were caused by developing states who feared they might be excluded completely or not benefit sufficiently from research activities; they were also suspicious that such activities could be a cover for espionage. It remains to be seen whether global scientific research activities will be severely hampered by coastal states. Without a doubt, many coastal states will be forced to implement or improve their own research programmes, and this will in the long run enlarge considerably the scientific community and increase the amount of scientific data available. The Convention provisions are designed to achieve this goal (Part XIII) as they require international co-operation (Art. 242-244) and development aid and the transfer of technology, (Part XIV) in particular demanding that research be conducted ex�clusively for peaceful purposes (Art. 242, Subpara. (a)) and that knowledge resulting from scientific research be made public. (Art. 244, Para. 1) Corresponding obligations apply for scientific research conducted in the Area (Art. 143) and are also designated as objectives of the Authority. The large-scale use of artificial structures has been common for quite some time, as the oil and gas industries began using them for off-shore operations. The Convention is silent on the precise meaning of an artificial structure, but refers only to artificial islands, installations, structures, and equipment, as well as the permanent means of warning of the presence of such structures, (e.g.. Art. 60, Para . 3; Art. 87, Para . 1; Art. 147; Art. 259) and establishes that in general artificial structures do not enjoy the legal status of islands. (Art. 121 (Art. 60, Para. 8; Art. 147, Subpara. 2(e); Art. 259)). The basis for the work of the 1973-1982 Conference was the UN General Assembly Resolution 2749 (1970), which had declared that the area was to be open to use exclusively for peaceful purposes by all states. The 1982 Convention follows this directive to the letter, using exactly the same wording (Art. 141) as the resolution. Although of less weight, it is still significant that the Convention reserves the high seas for peaceful purposes (Art. 88; Art. 58, Para. 2) and, under the provision headlined �Peaceful Uses of the Sea�, (Art. 301) requires States Parties to refrain from threat or use of force against the territorial integrity of any state or from acting in any manner inconsistent with the principles of international law embodied in the Charter of the United Nations. Only the future will show the impact-of the 1982 Convention on the military use of the oceans. Any incident can quickly change the outlook. Personnel in navies operating internationally will have to have thorough knowledge of the legal regime of the oceans and be particularly sensitive to local and regional interpretations of the 1982 Convention or of the law of the sea. Their burden would be lessened by a global acknowledgement and acceptance of the 1982 Convention and an effective judicial system.